This article searches the answer that how security could be defined, what the new security studies are and what can be done against global terrorism and how can be assured peace and stability condition In this context, with new security disputes and perspectives it can be said that security is not an alone issue, it's a collective study and mostly claimed as dilemma. It also can be said that in the new era more international collaboration and alliance are need to supply international security. In this regard this article expounds global alliances' effectiveness -especially NATO- for global security. ISNAD Erdağ, Ramazan . "Security Debates and Alliance against Terrorism". 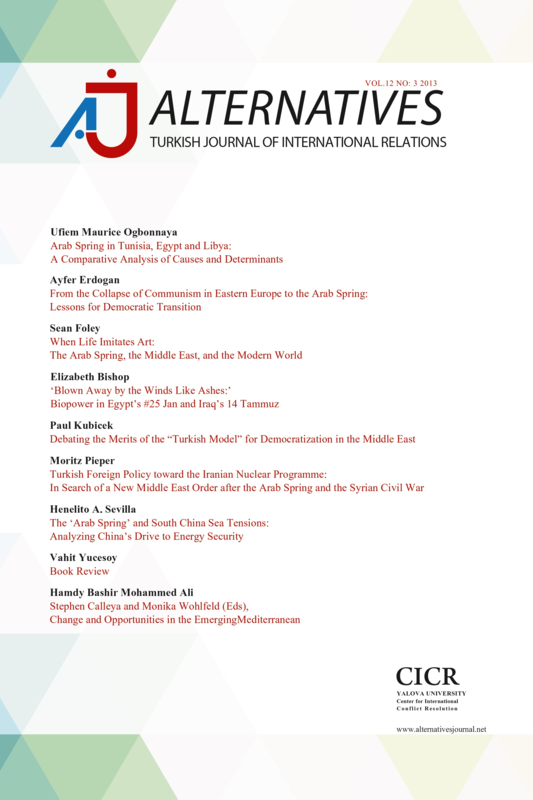 Alternatives: Turkish Journal of International Relations 9 / 4 (August 2010): 133-148.